Sprint has their EVO 4G. AT&T has their Inspire 4G. 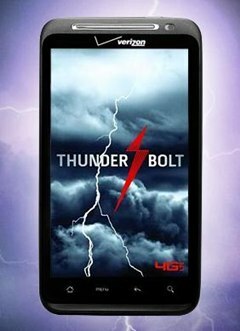 And now HTC has designed Verizon Wireless's first 4G smartphone—the ThunderBolt. 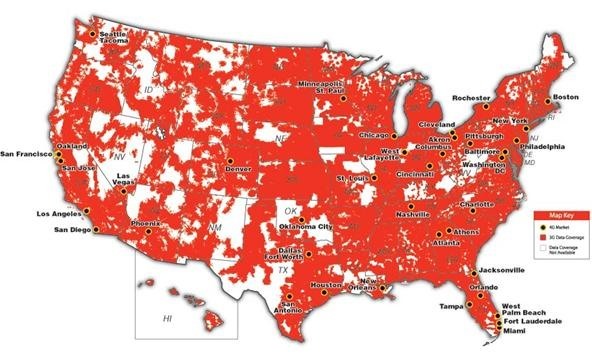 It launched last week with high praises amongst Android devotees, despite its hefty weight, mainly because of the blazing fast speeds Verizon users are experiencing on the new 4G LTE network. The phone is actually quite attractive, though they could have left off a logo here and there—on the front is the usual branding of Verizon Wireless, and on back there are the HTC, 4G LTE and Google logos. If you don't mind advertising every time you make a phone call, you can focus your attention on what's really fascinating—the actual features. The HTC ThunderBolt runs on Android 2.2 + HTC Sense, has a huge 4.3" WVGA touchscreen display, packs an awesome 8-megapixel camera with 2-LED flash, and includes a preinstalled 32GB microSD card. It also features a handy kickstand (with improve speakers beneath) and soft-cover back. One of the downfalls of this device is the inclusion of many, many useless preinstalled apps which cannot be removed. These include Adobe Reader, Bitbop, Blockbuster, City ID, FM Radio, Kindle, Let's Golf 2, Quickoffice, Rhapsody, Rock Band, Slacker, TuneWiki, V CAST Apps, V CAST Media, and VZ Navigator. Also annoying are missing apps like Netflix and Skype. But this can easily be overlooked when you can have blazing fast download and upload speeds on the 4G LTE network. Unless you're not in one of the supported locales (see map below). The HTC ThunderBolt goes for $249 with a two-year plan on Verizon Wireless. The full retail price is $599.99. If you want to perfect your smartphone and delete all of those un-deletable bloatwares, then your only option is to root your device. You can find easy ThunderBolt rooting instructions for the fastest root-known-to-date, the Easyroot + S-Off, over at xda-developers. It's an Windows-only program though (sorry Macs). There is another way to root the ThunderBolt—check out the detailed instructions in 9 steps at Droid Life. If you better learn from videos, check out the one from nate3mil below, which shows the full process of this root (not once, but twice!) in 4x speed. Once your ThunderBolt it rooted, you can proceed to use ADB or Root Explorer to trash those useless memory-hogging apps.